I came across this this little wooden box on a visit to my local thrift store a few months ago, and it was just begging to be reinvented. 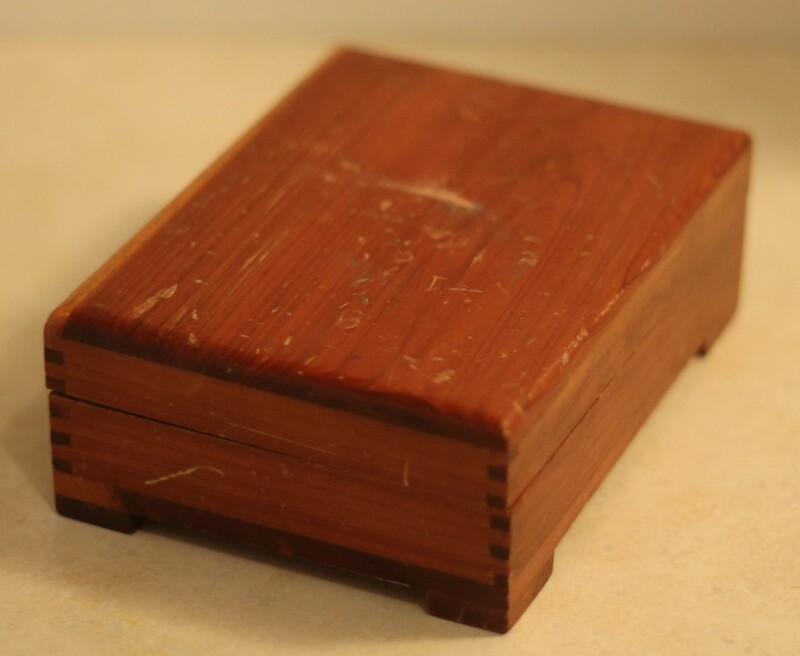 I initially thought I would turn it into a decorative box for playing cards – maybe a Father’s Day gift? Sadly, Dad’s day came and went and I still hadn’t found the time to get crafty. Well last week I was looking for my favourite blue statement ring and this idea was born: Anguthi Box. 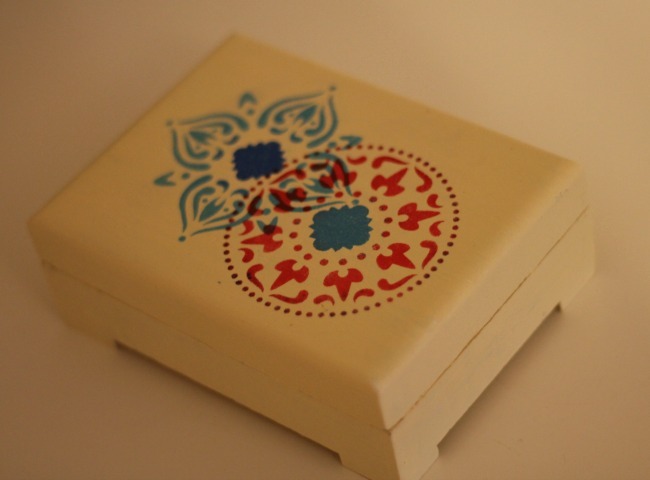 A box dedicated to my growing ring collection and a little playtime with paint and stencils; sold! I gave the box a light sanding and then used some Martha Stewart paints and a Folk Art stencil to give it a new lease on life, and a brand new job description – keeper of the statement rings. Side note – I totally sang “Ungli Main Anguthi, Anguthi Mein Nagina” the whole time I was painting. Ahhh….Sunny Deol back in the good old cute days. I digress… It is amazing how just a quick coat of paint can totally change the vibe of a container. 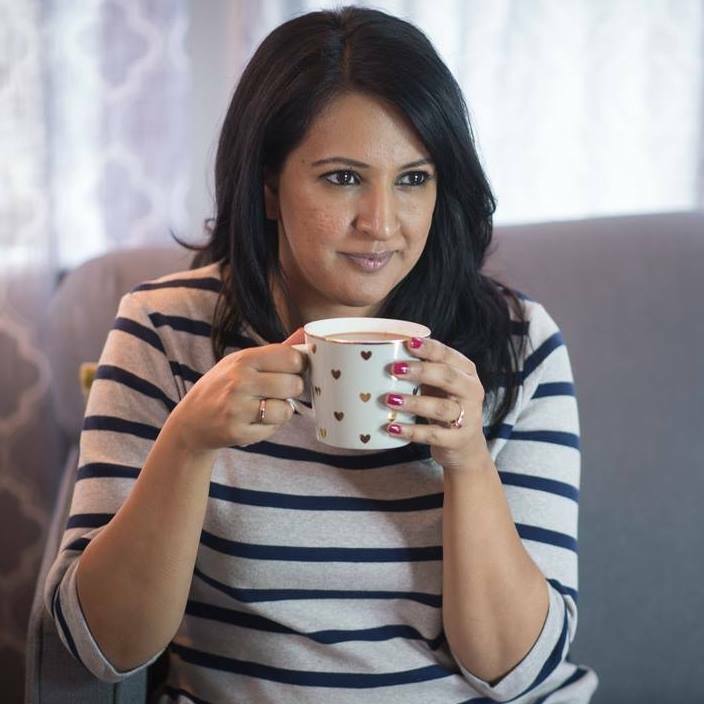 Depending on your interests and hobbies you could easily create a box to store sewing supplies, tea bags, or even old love letters? I see these wooden boxes at thrift shops all the time; abandoned & ready to be recreated. As far as DIY projects go, this one is pretty forgiving for a novice crafter. 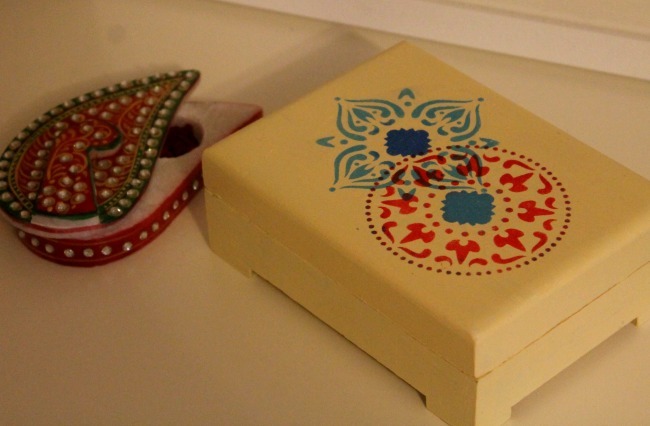 Just sand the box lightly and use acrylic paint to create your design. You can’t go wrong! I’m currently on the hunt for one to keep on the ledge by our front door for sunglasses and other ‘car essentials’ like Juicy Fruit. (Never go on a road trip without Juicy Fruit). 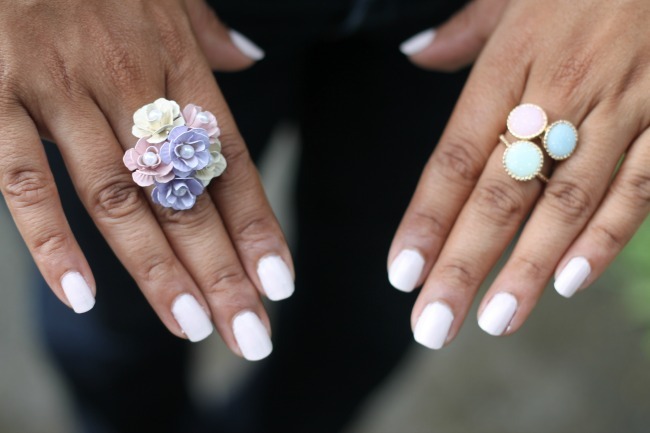 Now that I have a designated spot for my statement rings I’ve also been wearing them a lot more. The pastel ones are new and I’m totally in love with them! The best part about this little project …. my new anguthi box now sits on my dressing table next to my other favourite container, my sindoor dani. I smile every time I look at the pair of them! I love this! 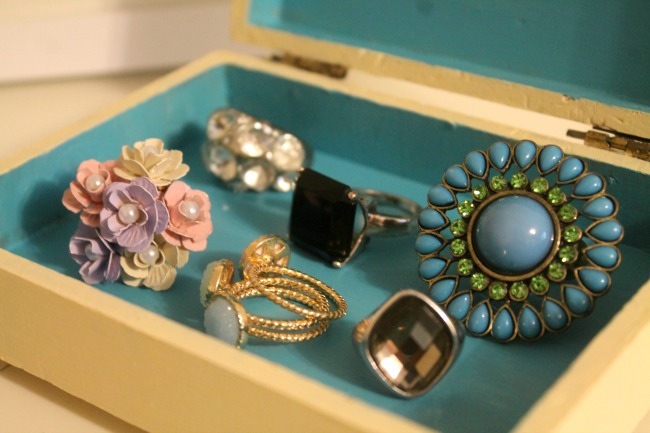 I have lots of jewellery boxes but nowhere to keep them. Really like the stencils. Need to hunt some down.